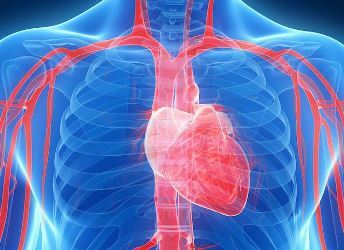 Contact Jimmy T Efird, Ph.D.
International Journal of Cardiovascular Research is an indexed, peer-reviewed scholarly journal and aims to publish the most complete and reliable source of information on the discoveries and current developments in the mode of original articles, review articles, case reports, short communications, etc. in all areas of cardiology and making them available online freely without any restrictions or any other subscriptions to researchers worldwide. 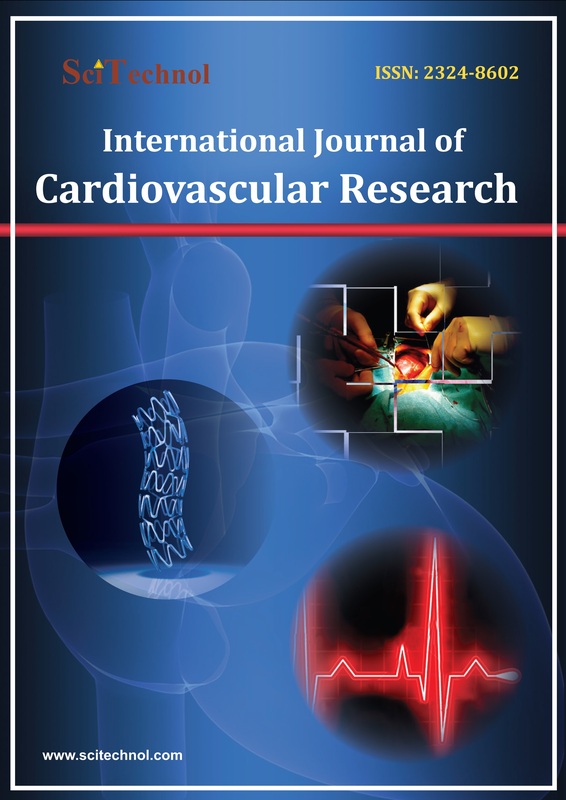 International Journal of Cardiovascular Research primarily focuses on the topics: Heart diseases, Cardiovascular medicine, Echocardiography, Cardiac electrophysiology, Neuro cardiology, Cardiac anesthesiology, Disorders of heart, treatment, Pediatric cardiology, Interventional cardiology and Hypercholesterolemia. The journal is using Editorial Manager System for quality in review process. Editorial Manager is an online manuscript submission, review and tracking systems. Review processing is performed by the editorial board members of International Journal of Cardiovascular Research or outside experts; at least two independent reviewers approval followed by editor approval is required for acceptance of any citable manuscript. Authors may submit manuscripts and track their progress through the system, hopefully to publication. Reviewers can download manuscripts and submit their opinions to the editor. Editors can manage the whole submission/review/revise/publish process. The speciality that deals with the brain-heart connection has become known as neurocardiology. Neurocardiology refers to (patho) physiological interplays of the nervous and cardiovascular systems. Baroreflex sensitivity and heart rate variability are important parameters in understanding the influence of the autonomic nervous system on both heart and brain activity. The effects of stress on the heart are studied in terms of the heart's interactions with both the peripheral nervous system and the central nervous system. Clinical issues in neurocardiology include hypoxic-ischemic brain injury, neurogenic stress cardiomyopathy, cerebral embolism, encephalopathy, neurologic sequelae of cardiac surgery and cardiac interventions, and cardiovascular findings in patients with primary neurological disease. Echocardiography or echo is a painless test that uses sound waves to create moving pictures of your heart. The pictures show the size and shape of your heart. They also show how well your heart's chambers and valves are working. Echo also can pinpoint areas of heart muscle that aren't contracting well because of poor blood flow or injury from a previous heart attack. A type of echo called Doppler ultrasound shows how well blood flows through your heart's chambers and valves.Echo can detect possible blood clots inside the heart, fluid buildup in the pericardium (the sac around the heart), and problems with the aorta. 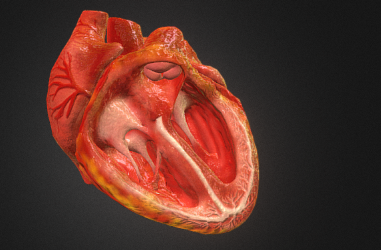 The aorta is the main artery that carries oxygen-rich blood from your heart to your body. Doctors also use echo to detect heart problems in infants and children. Stroke, also known as cerebrovascular accident (CVA), cerebrovascular insult (CVI), or brain attack, occurs when there is poor blood flow to the brain resulting in cell death. There are two main types of stroke: ischemic due to lack of blood flow and hemorrhagic due to bleeding. Signs and symptoms of a stroke may include an inability to move or feel on one side of the body, problems understanding or speaking, feeling like the world is spinning, or loss of vision to one side among others. Signs and symptoms often appear soon after the stroke has occurred. If symptoms last less than one or two hours it is known as a transient ischemic attack (TIA). Hemorrhagic strokes may also be associated with a severe headache. The symptoms of a stroke can be permanent. Long term complications may include pneumonia or loss of bladder control. Heart failure is a condition in which the heart can't pump enough blood to meet the body's needs. In some cases, the heart can't fill with enough blood. In other cases, the heart can't pump blood to the rest of the body with enough force. Some people have both problems. The term "heart failure" doesn't mean that your heart has stopped or is about to stop working. However, heart failure is a serious condition that requires medical care. The leading causes of heart failure are diseases that damage the heart. Examples include coronary heart disease (CHD), high blood pressure, and diabetes. Arrhythmia is a problem related to heart with its beat. In Arrhythmic conditions, the heart can beat too fast, too slow, or with an irregular rhythm. A heartbeat that is too fast is called tachycardia. A heartbeat that is too slow is called bradycardia. Most arrhythmias are harmless, but some can be serious or even life threatening. During an arrhythmia, the heart may not be able to pump enough blood to the body. Lack of blood flow can damage the brain, heart, and other organs. Nuclear medicine is a branch of medical imaging that uses small amounts of radioactive material to diagnose and determine the severity of or to treat diseases, likewise different type of cancers, heart disease, gastrointestinal, endocrine, neurological disorders and other abnormalities within the body. Cardiac nuclear medicine is useful in diagnosing and assessing coronary artery disease. It is also used to evaluate cardiomyopathy and identify possible damage to the heart from chemotherapy or radiotherapy. Nuclear medicine imaging procedures are noninvasive and, with the exception of intravenous injections, are usually painless medical tests that help physicians diagnose and evaluate medical conditions. Atrial fibrillation or AF is the most common type of arrhythmia. AF occurs if rapid, disorganized electrical signals cause the heart's two upper chambers - called the atria to fibrillate. The term "fibrillate" means to contract very fast and irregularly. The term "fibrillate" means to contract very fast and irregularly. In AF, blood pools in the atria. It isn't pumped completely into the heart's two lower chambers, called the ventricles. As a result, the heart's upper and lower chambers don't work together as they should. If AF is unnoticed, it can increase the risk of stroke. In some people, AF can cause chest pain or heart failure, especially if the heart rhythm is very rapid. Cardiovascular Imaging is visualization of the heart structure and cardiac blood flow for diagnostic evaluation or to guide cardiac procedures via techniques including endoscopy (cardiac endoscopy, sometimes refered to as cardioscopy), radionuclide imaging; magnetic resonance imaging; tomography; or ultrasonography. It is used to detect various heart conditions, ranging from plaque in the arteries that supply the heart muscle (known as coronary artery disease) to abnormalities that impair the ability of the heart to pump blood. Cardiogeriatrics or geriatric cardiology is the branch of cardiology and geriatric medicine that deals with the cardiovascular disorders in elderly people. Cardiac disorders as coronary heart disease (including myocardial infarction, heart failure, cardiomyopathy, arrhythmias (as atrial fibrillation) and others are common and are a major cause of mortality in elderly people. Vascular disorders such as atherosclerosis and peripheral arterial disease cause significant morbidity and mortality in aged people. The geriatric cardiologist has come to see the cardiovascular system within a perspective of an aging body that is likely to be frail, noncompliant, disorganized, and confused, experiencing impaired function of several organ systems (particularly the kidney), and damage from earlier diseases. Heart transplantation is the procedure by which, a failing heart is replaced with another heart from a suitable donor. It is generally reserved for patients with end-stage congestive heart failure (CHF) who are estimated to have less than 1 year to live without the transplant and who are not candidates for or have not been helped by conventional medical therapy. . Post-operation survival periods average 15 years.Heart transplantation is not considered to be a cure for heart disease, but a life-saving treatment intended to improve the quality of life for recipients. Hypercholesterolemia is a condition characterized by very high levels of blood cholesterol. Cholesterol is a waxy, fat-like substance that is produced in the body and obtained from foods that come from animals (particularly egg yolks, meat, poultry, fish, and dairy products). The body needs this substance to build cell membranes, make certain hormones, and produce compounds that aid in fat digestion. Too much of cholesterol, however increases a person's risk of developing heart disease. People with hypercholesterolemia have a high risk of developing a form of heart disease called coronary artery disease. This condition occurs when excess cholesterol in the bloodstream is deposited in the walls of blood vessels, particularly in the arteries that supply blood to the heart (coronary arteries). The abnormal buildup of cholesterol forms clumps (plaque) that narrow and harden artery walls. As the clumps get bigger, they can clog the arteries and restrict the flow of blood to the heart. The buildup of plaque in coronary arteries causes a form of chest pain called angina and greatly increases a person's risk of having a heart attack. Cardiomyopathy refers to diseases of the heart muscle. These diseases have a variety of causes, symptoms, and treatments. In cardiomyopathy, the heart muscle becomes enlarged, thick, or rigid. In rare cases, the muscle tissue in the heart is replaced with scar tissue.As cardiomyopathy worsens, the heart becomes weaker. It's less able to pump blood through the body and maintain a normal electrical rhythm. This can lead to heart failure or arrhythmia. In turn, heart failure can cause fluid to build up in the lungs, ankles, feet, legs, or abdomen.The weakening of the heart also can cause other severe complications, such as heart valve problems. 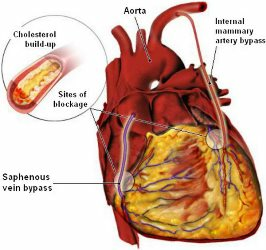 Heart or cardiovascular diseases are heart or blood vessel related diseases, which includes numerous problems, many of which are related to Atherosclerosis. Atherosclerosis is condition when Plaque builds up in the walls of arteries resulting in narrowing of arteries due to which blood flow is obstructed. If a blood clot is formed, it can stop the flow of blood resulting into heart attack or a stroke. Some cardiovascular diseases are: heart attack, ischemic stroke, heart failure, arrhythmia, heart valve problems, etc. Cardiology is a branch of medicine which deals with the disorders of the heart in humans or animals. The field includes medical diagnosis and treatment of congenital heart defects, coronary artery disease, heart failure, valvular heart disease and electrophysiology. Physicians who specialize in this field of medicine are called cardiologists, a specialty of internal medicine. Pediatric cardiologists are pediatricians who specialize in cardiology. Physicians who specialize in cardiac surgery are called cardiothoracic surgeons or cardiac surgeons, a specialty of general surgery. Medicines given by these cardiologists for the treatment purpose of cardiac related diseases are cardiovascular medicines. 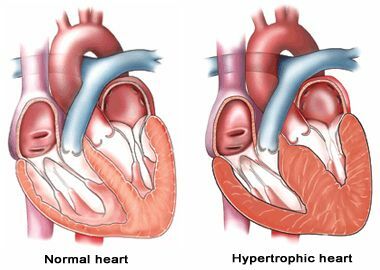 Myocardial infarction or acute myocardial infarction commonly known as a heart attack, occurs when blood flow stops to part of the heart causing damage to the heart muscle. The most common symptom is chest pain or discomfort which may travel into the shoulder, arm, back, neck, or jaw. Often it is in the center or left side of the chest and lasts for more than a few minutes. The discomfort may occasionally feel like heartburn. Other symptoms may include shortness of breath, nausea, feeling faint, a cold sweat, or feeling tired. An MI may cause heart failure, an irregular heartbeat, or cardiac arrest. An electrophysiology (EP) study is a test that records the electrical activity and the electrical pathways of heart. This test is used to determine the cause of your heart rhythm disturbance and the best treatment. During the EP study, doctor safely reproduces abnormal heart rhythm and then suggests different medications to see which one controls it best or to determine the best procedure or device to treat heart rhythm. During EPS, doctors insert a thin tube called a catheter into a blood vessel that leads to your heart. A specialized electrode catheter designed for EP studies lets them send electrical signals to your heart and record its electrical activity. Cardiac anesthesia is a subspecialty involving he demanding intraoperative medical care of patients with coronary artery disease (requiring bypass surgery), valvular heart disease (requiring valve repair or replacement), or complex aneurysm repair. In addition to their heart disease, these patients often have other underlying medical problems called co-morbidities such as peripheral arterial disease (PAD), lung disease (COPD), hypertension, diabetes, or obesity that can impact how we deliver your anesthetic. It is the role of the anesthesia team (anesthesiologist and nurse anesthetist) to understand medical problems and to deliver as optimal care as possible during surgery trying to maximize a safe outcome. Pediatric cardiology is treatment of heart related problems in children, infants or foetuses. Pediatric Cardiologists are the people who care for patients with congenital or acquired cardiac and cardiovascular abnormalities. The scope of pediatric cardiology practice is extensive. Pediatric Cardiologists evaluate and care for fetuses, neonates, infants, children, adolescents, young adults, and adults. Interventional cardiology is the branch of cardiology that deals specifically with the catheter-based treatment of structural heart diseases. The procedures performed are done by initially placing a catheter into the heart, or into the arteries that feed the heart itself. A large number of procedures can be performed on the heart by catheterization. This most commonly involves the insertion of a sheath into the femoral artery and cannulating the heart under X-ray visualization. The radial artery may also be used for cannulation; this approach offers several advantages, including the accessibility of the artery in most patients, the easy control of bleeding even in anticoagulated patients, the enhancement of comfort because patients are capable of sitting up and walking immediately. Main advantages of using the interventional cardiology or radiology approach are the avoidance of the scars and pain, and long post-operative recovery. Arteriosclerosis is defined as stiffening or hardening or the arterial walls. Arteries are blood vessels that carry healthy, oxygen and nutrient rich blood to the various peripheral organs of the body. As the arterial walls harden, the heart has to pump harder and against a greater resistance to enable that the arterial blood reaches all the peripheral organs. Despite being used interchangeably arteriosclerosis is described under three headings – atherosclerosis, Moenckeberg medial calciﬁc sclerosis and arteriolosclerosis. These lesions have three common features including stiffening of arterial vessels, thickening of the arterial wall and degenerative nature of the disease.